These are the shops that are expected to stand out in the brand experience crowd. Lively, Wild Things, XYZ, The Current Collective, Produce, Amplify and Giant Spoon have all been named agencies to watch in Campaign's Future of Branded Experiences report. The shops have been chosen by the editorial team for showing the most potential in terms of producing inspiring work and having a solid business. Here’s a short breakdown of the agencies. For more details, read the Future of Branded Experiences report. Lively, which was founded in 2016, has already impressed with the first-ever "sand hostel" for Hostelworld and a virtual-reality two-wheel stunt for Mazda last year. Wild Things, the agency that's part of Lucky Generals’ incubator scheme, has created work for Yorkshire Tea, including a 5,000-biscuit build. 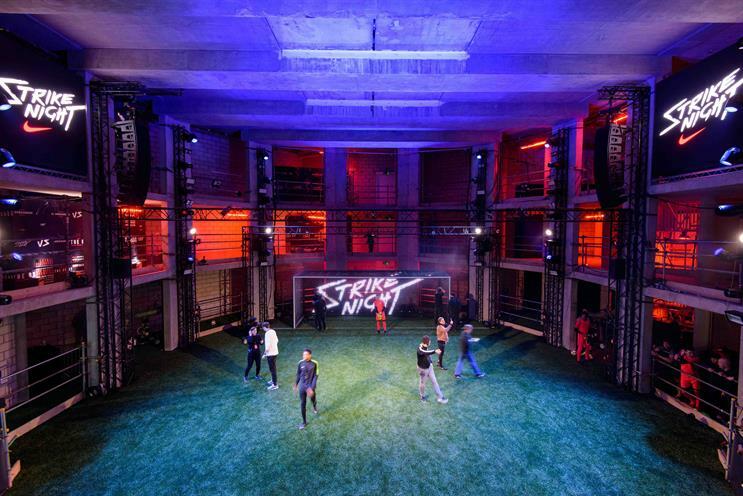 XYZ’s managing director, Will Mould, says that bagging the coveted Grand Prix at the Campaign Event Awards last year for Nike Strike Night put the shop on brands’ radar this year. With all eyes on the team, XYZ continues to deliver again this year with one of the most enviable experiences: the Converse One Star Hotel. The Current Collective was formed earlier this year as Undercurrent partnered sister agencies to bring together experiential, content, delivery and staffing capabilities. Produce’s thought-provoking artistic work is one to keep an eye on, including a circus performance for Grand Marnier. After being named Agency of the Year at the 2017 Campaign Event Awards, Amplify continues to impress this year with work for Google and Sony PlayStation. In addition, it has launched the latest edition in its Young Blood research into youth culture. US shop Giant Spoon is relatively unknown in the UK, but the five-year-old shop has created outstanding work across the shores – in particular, a stunt for HBO’s Westworld took guests into a recreation of the show’s theme park. Who will win Activation at a Festival or Public Event at the Campaign Event Awards? Who will be crowned Campaign Event Awards Agency of the Year? Which agency will take home B2C Brand Experience of the Year? Has Secret Cinema's first festival foray paid off?